Knowledge is power. Power Up. Humans use animals in millions of ways, some of them are more obvious than others. Removing these animal products from your life isn’t impossible, but it does take some knowledge and practice. This extensive collection of guides covers a wide variety of vegan topics. The food and drink guides contain tips, tricks, shopping guides, and tons of vegan recipes to try at home. Since veganism is more than what we put on our plates, the living and lifestyle guides will help you navigate our sizeable non-vegan world. There are also holiday survival guides, perfect for creating a festive vegan holiday. 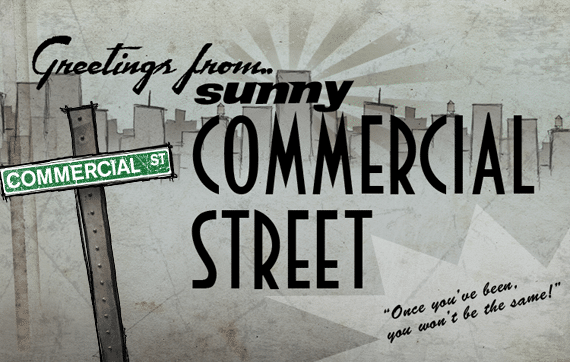 Lastly is Commercial Street, an interactive experience that tells the truth behind the labels. If there’s something you want to know about veganism, you’ve come to the right place. Imagine a product label that told consumers the true origins and impact of each item as well as how animals were (ab)used to make it. You may never see a label like this in real life but you can on Commercial Street. Commercial Street is an interactive online experience that allows you to stroll through a fictitious shopping district in “Anytown” to browse for meat, dairy, clothing, cosmetics, and other products, and learn the truth behind what’s for sale. It’s what the companies and people who use animals for profit don’t want you to know. Discover the truth. Visit Commercial Street now. Note: Commercial Street is built using Adobe Flash which is not viewable on mobile devices or tablets. For the best experience, please visit Commercial Street using a laptop or desktop computer.